attitudes and responses to treatment. help Galderma challenge common misconceptions of aesthetic treatments. event saw ten pairs of identical twins take part in a unique challenge. 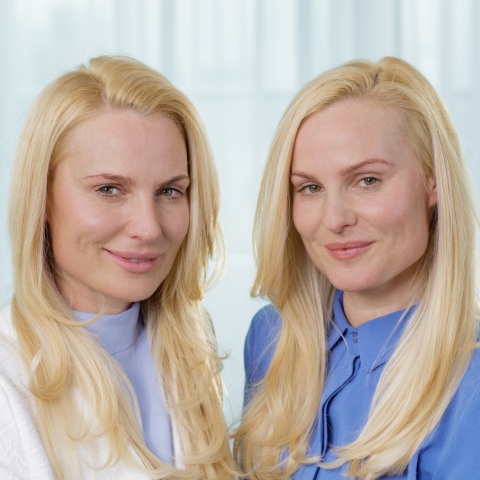 original campaign, both twins have now been treated. results and their feelings, having all received the treatment. any kind of injectables before. This was a very new step for them. my overall look was, so I was very pleased with what I saw, definitely. about how patients felt about themselves after treatment. falls within the realm of what we do as Aesthetic Physicians.” Dr.
treatments that suit all patient needs. deeper facial shaping and contouring. are trademarks of Nestlé Skin Health S.A.